A multi-car crash on Haddonfield-Berlin Road in Cherry Hill on Jan. 6 left one person dead and two others injured. 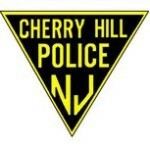 Cherry Hill Police responded to a three-car crash at approximately 8:38 a.m. near Morris Drive. An investigation revealed a 52-year-old woman from Winslow Twp. was driving her 2005 Chevrolet northbound on Haddonfield-Berlin Road when she lost control on the slick road. The vehicle slid into the opposite lanes and collided head-on with a 2013 Ford van, operated by a 54-year-old man from Coatesville, Pa. A third vehicle then hit from behind the van. The woman from Winslow was pronounced dead at the scene of the accident. The other two drivers were treated for minor injuries at local hospitals. The accident closed Haddonfield-Berlin Road in both directions for about four hours while police conducted a preliminary investigation. Any witnesses with more information on the crash can contact the Cherry Hill Police traffic unity at (856) 488–7820.